I have an exciting post in store for you today. Because today I'm helping to celebrate the launch of my friend Hallie's new ebook, Crazy for Kale. 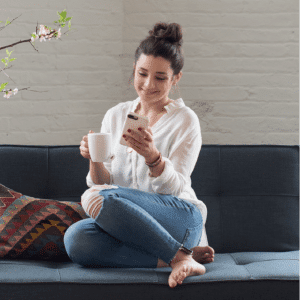 Have you met Hallie yet? Hallie is the innovative, healthy chef extraordinaire from one of my favorite gluten-free food blogs, Daily Bites. 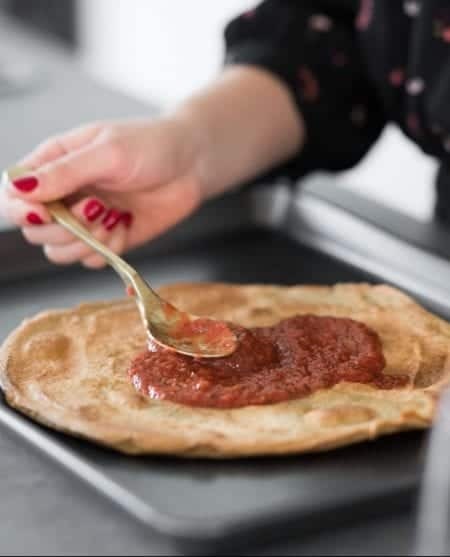 Hallie is always whipping up mouthwatering recipes, that are packed with nutrition and good-for-you ingredients. She's especially great at turning traditional, sugar-laden desserts into healthy, guilt-free treats. She even has a book dedicated to it! 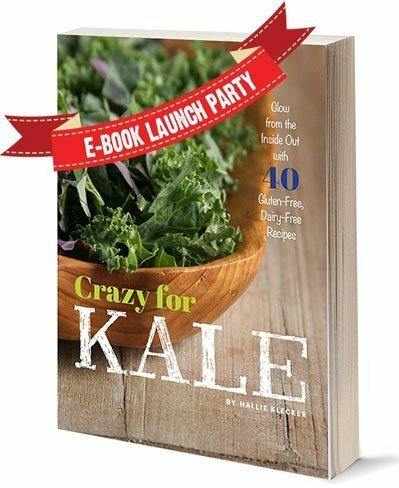 So when Hallie asked me to join the Crazy for Kale launch party, how could I resist?I'm always in awe of her recipes and couldn't way to see what creative kale recipes she had came up with for this ebook. If you aren't familiar with kale or haven't cooked with it yet, then this book is perfect for you. Kale, is the all-star of all greens. It packs a serious punch in the nutrient department, and as Hallie shows in her book, it is incredible versatile. She even puts this leafy green veggie into desserts! The book starts with a few pages that introduce you to kale – the types you can find at the grocery store and the nutrition profile of the green. Then you get right into the recipes. You can find everything from appetizers, salads, entrees and desserts in this ebook. And each one looks just as tasty as the next. Don't they all just sound super delicious? 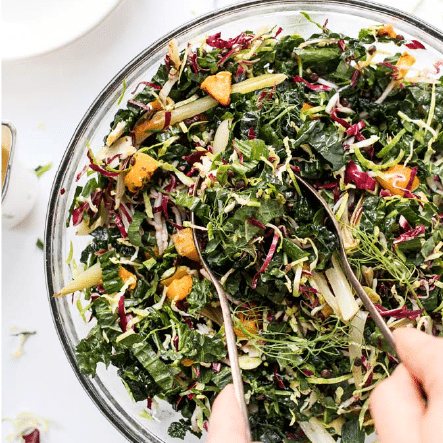 So to kick off this ebook, I'm sharing a new kale recipe with you that super healthy, full of big flavors and perfect for spring. 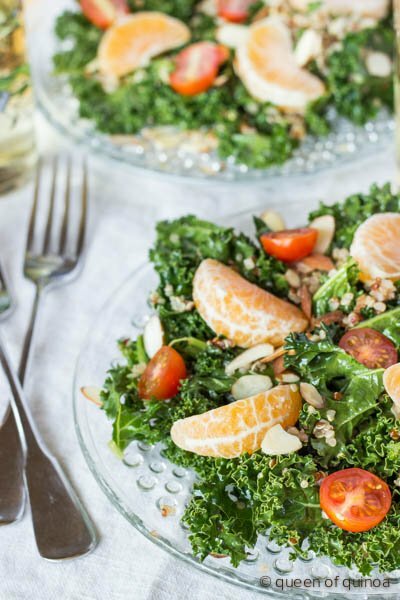 We served this massaged kale salad next to a fresh piece of grilled salmon and it was sensational. The honey-chipotle vinaigrette paired nicely with the tart tangerines and juice cherry tomatoes. And the slight crunch from the massaged kale was perfectly balanced with the sliced almonds. Full of big flavors and perfect for spring. 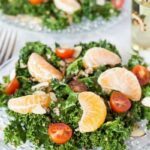 We served this massaged kale salad next to a fresh piece of grilled salmon and it was sensational. The honey-chipotle vinaigrette paired nicely with the tart tangerines and juice cherry tomatoes. And the slight crunch from the massaged kale was perfectly balanced with the sliced almonds. Add the kale to a large mixing bowl, add the quinoa and set aside. Whisk all the dressing ingredients together. Pour over the kale-quinoa mixture and massage with your hands until the kale has begun to soften and the dressing is fully incorporated. Separate onto two plates. 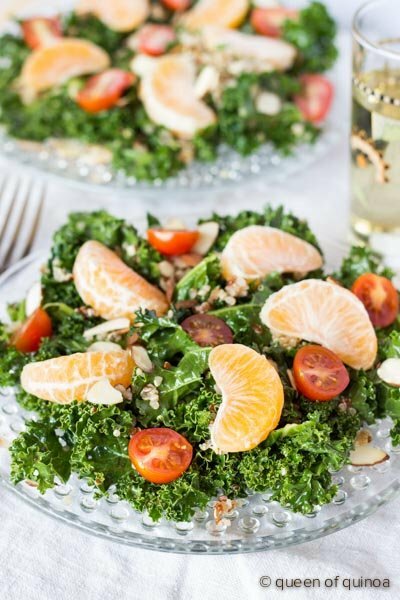 Garnish each salad with half the tangerine, cherry tomatoes and sliced almonds. Serve immediately. This salad is so beautiful! 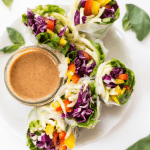 I can’t wait to give it a try, the dressing recipe has my tastebuds fired up! Looks like we’re looking forward to a few of the same recipes! Your salad looks fantastic. 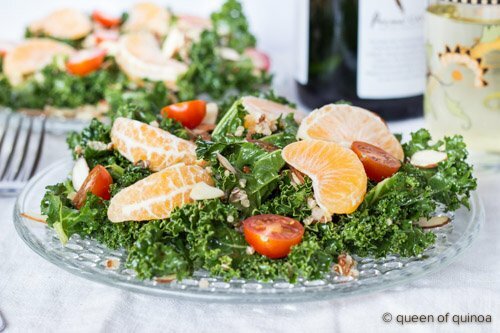 I love the combo of citrus and kale!